Earlier today, we announced Cloud Configuration Groups, a new HiveManager configuration and network device management feature. Cloud Configuration Groups is a new form of device classification that adds more flexibility when configuring network policies with HiveManager. Cloud Configuration Groups solves the management challenge of implementing template-based network policies for network devices that require different settings. What exactly does that mean? Cloud Configuration Groups allows IT managers to create a single network policy that can span the entire enterprise network while still keeping management simplified. One of the best features of HiveManager is that you can scale up to over a million devices for a single enterprise network (or partner/managed service provider). Customers will often deploy hundreds or even thousands of network devices across multiple locations. A typical enterprise deployment requires unique configuration settings for APs and switches in different locations. 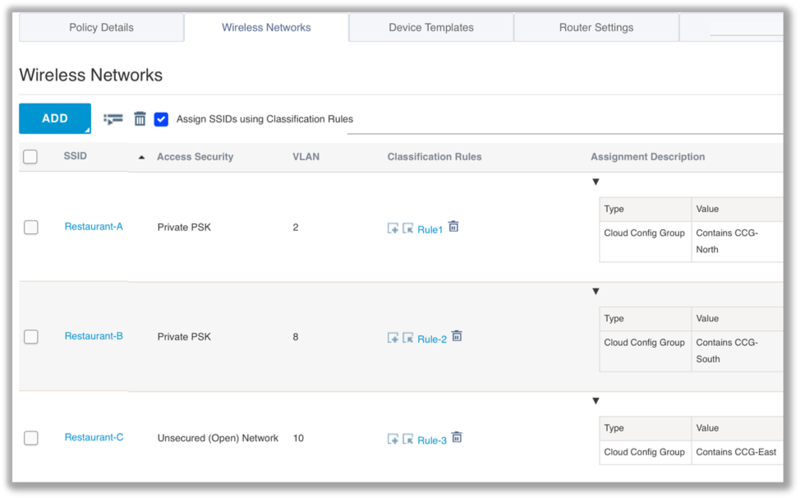 Using Client Configuration Groups together with classification rules, a single network policy can be tailored for specific groups of devices. For example, different groupings of APs can be assigned different device templates, radio profiles, user VLANS, management VLANS, DNS, RADIUS, and even SSIDs. IT administrators can use a global network policy for efficient deployment (and future policy updates), while still enabling per location definitions for configuration items. 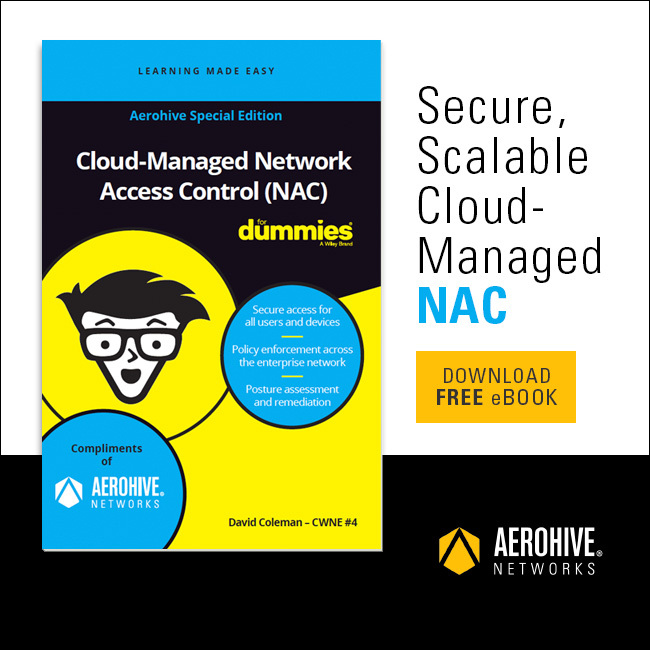 As shown in Figure 1, Aerohive access points, branch routers, and switches can all be assigned into different Cloud Configuration Groups. So how does this play out in the real world? Perhaps a quick-service restaurant chain wants to have a single policy that spans their store across the world, but the company wants to have a unique SSID, specific security settings, and a geo-located captive web portal for each franchisee. Prior to Cloud Configuration Groups, the IT department would have to create a specific network policy for each group of stores. As shown in Figure 2, an administrator can create a single network policy, but still have the customized experience for each group of restaurants. Restaurant franchise owners can have a specific SSID and a customized captive web portal, but the corporate IT department can easily manage all of the devices through a single network policy. In the next few blogs, we are going into a deeper dive of the use cases for Cloud Configuration Groups as well as easy setup instructions. Stay tuned!